Chinese and Western firms could experience high returns by investing in Africa's strong economic growth. In fact, between 2014 and 2016, US exports to Africa fell by almost half, from $38 billion to $22 billion. And while the United Kingdom’s investments on the continent more than doubled between 2005 and 2014, reaching £42.5 billion ($57.6 billion), only 2.5% of its total exports are to Africa. Western countries are quickly losing ground to China, which increased its exports to Africa more than sevenfold – to $103 billion – from 2005 to 2015. If Western businesses hope to keep up, they will need to tap into the African countries and sectors with the highest potential for growth. By 2030, more than half of Africa’s population will reside in seven countries: Nigeria, Ethiopia, the Democratic Republic of Congo, Egypt, Tanzania, Kenya, and South Africa. But, more important, 43% of Africans will belong to the middle or upper classes, up from 39.6% in 2013, implying considerably higher demand for goods and services. By 2030, household consumption is expected to reach $2.5 trillion, up from $1.1 trillion in 2015. Nearly half of that $2.5 trillion will be spent in three countries: Nigeria (20%), Egypt (17%), and South Africa (11%). But there will also be lucrative opportunities in Algeria, Angola, Ethiopia, Ghana, Kenya, Morocco, Sudan, and Tunisia. 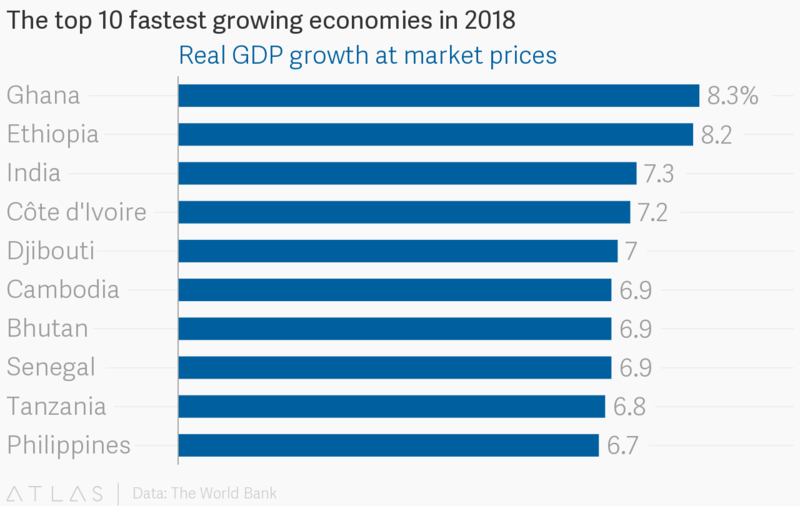 Any one of these countries would be a good bet for companies seeking to enter new markets. Another major growth area between now and 2030 will be in African business-to-business spending, which will reach $4.2 trillion, up from $1.6 trillion in 2015. Here, the largest sectors will be agriculture and agricultural processing ($915 billion), manufacturing ($666 billion), and construction, utilities, and transportation ($784 billion), followed by wholesale and retail ($665 billion), resources ($357 billion), banking and insurance ($249 billion), and telecommunications and ICT ($79.5 billion). The expected growth in agriculture and agricultural processing reflects the fact that food and beverages will constitute the largest share of total household spending. Moreover, 60% of the world’s unused arable land is in Africa, which still contributes a meager share of worldwide agricultural exports. That means there is a lot of room for growth. And, because severe hunger still affects many African countries, investors can even contribute to the public good by investing in fertilizers, machinery, water and irrigation systems, and other areas of the agriculture sector. How can Africa achieve sustainable industrial development? This helps to explain why manufacturing will be the second-largest sector in terms of business-to-business spending. Another reason is that many of the manufacturing opportunities in Africa happen to be in globally competitive sectors such as automobiles and transport equipment, refined petroleum, computers, and office and industrial machinery. South Africa, Egypt, and Nigeria are already becoming promising places to invest in these areas. And investors will also be able to find high returns and favorable business environments in Ethiopia, Morocco, and Rwanda.